What’s more important, security or compliance? Most IT shops are focused on compliance but breaches are still happening. A recent study by Verizon Business concludes that evidence of those breaches tends to be right there in log files. But CISOs aren’t tapping into that intelligence and many breaches go undetected for months on end. 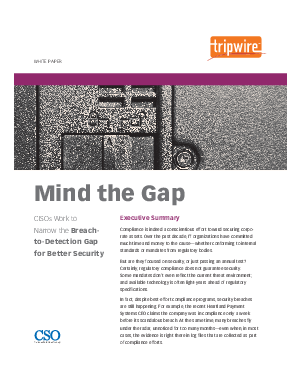 Now smart CISOs are looking to lockdown the enterprise to achieve continuous compliance and narrow the breach-to-detection gap with baseline controls in configuration and change management.